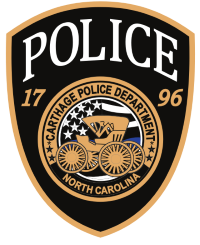 Please print this form, fill it out completely and deliver it to the front desk at the Carthage Police Department at 4396 US Hwy 15-501 or mail to P.O. Box 236 Carthage, N.C. 28327. Or if you choose you may use the online form. Thank you.